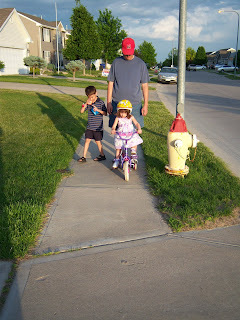 Baby, oh Baby--my baby's got a bicycle! 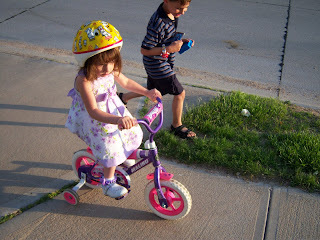 We found a little pink and purple bike at a garage sale at a price so awesome we had to buy it! 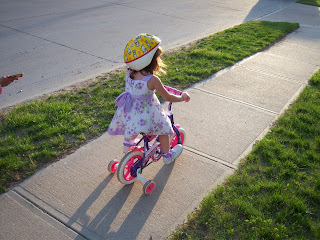 Ever since we've gotten the bike, she wants to go ride it every day. 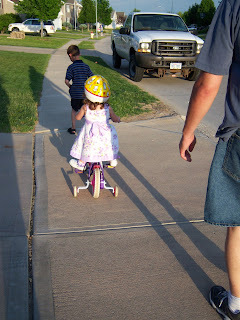 Sean & I trail along behind her as she careens down the sidewalk. On days when I need a break, Sean gets his exercise being her bicycle shadow. 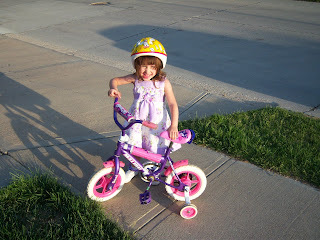 I think she loves her new bike!